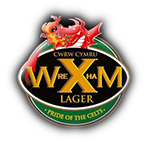 Wrexham Golf Club was founded on March 14, 1906 but its history does not begin there. Before that date it had been Gwersyllt Park Golf Club which itself had come into being when members of Gresford Golf Club started a new club there in anticipation of their course having to close when the land was needed for the sinking of the Gresford Colliery. Thus the line of descent of WrexhamGolf Club runs back through Gwersyllt Park Club to Gresford Golf Club . Since golf was first introduced in Wrexham. The Reverend George Roberts, Vicar of Gwersyllt drives in at the opening of Gwersyllt Park Golf Club on August 28th 1905. Club captain Tommy Mottram drives off to open the present course on October 21st 1950. The first positive steps towards planning a new 18 hole course were taken in 1947. Efforts were made through the local MP Mr. Robert Richards , the club´s landlord, Lord Kenyon and the War Agricultural Executive Committee which controlled the use of land, to secure pieces of the adjoining land which would meet the club´s requirements. It was thought that in all 120 acres would be needed. An alternative proposal that an entirely new course be built at Gwersyllt Park was rejected. A report by Carters Ltd after inspection of the proposed site gives an insight into the thinking which went into the construction of the course. An extract from the report reads "after giving it all thought and consideration we have decided the site is very suitable and a first class course of distinction can be made. There are sufficient broken contours, slopes, spinneys, good views and interesting features for holes of character to be designed. The fairways have been places in sporting and interesting sites. No two fairways and no greens are alike". British Ladies Senior Championship 1989. Ladies Welsh Team Championship 1998. The Welsh Team Championship is significant for Wrexham, having been won by the Gentlemen in 1997 and by the Ladies in 1998. Due to the timing of these competitions, both titles were held at the same time, a unique occasion in Welsh golfing history. Of all the players, male or female, who have learned their golf at Wrexham, the most gifted has been Karen Davies . Her natural talent was nurtured and developed by John Powell and by 1979, at the age of 15, she was the youngest ever to play for the county. The next year she captained the Welsh girls team, was Berkshire schoolgirls champion and won the Welsh Girls Championship at Llangollen with a record score of one under standard scratch 73. She also lowered the Wrexham course record to 66. Karen has now been awarded a place in the American Hall of Fame. The existing record of 64 was set by Matthew Ellis in August 1995 while competing in the Lager Day competition. He was playing the new longer course of 6233 yards. The professional course record of 68 was set during the exhibition matches of the 1960´s. Ken Bousfield set the mark in 1962 which included his unique hole in one at the par 4 second hole. This was equaled by Peter Allis and Dave Thomas in 1968. Simon Edwards set his present record of 66 in July 1993 while still a probationary professional.